Check out the Help Hair Booth at the American Academy of Dermatology in Washington DC. Some of our Wonderful Help Hair Doctors stopped by to say hello! 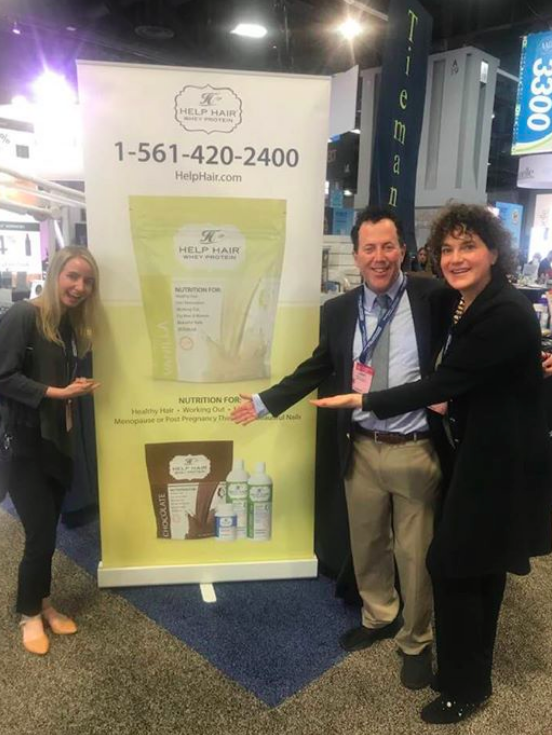 Dr Larry Shapiro and Dr Marguerite Germain from South Carolina at the AAD convention in Washington, DC. 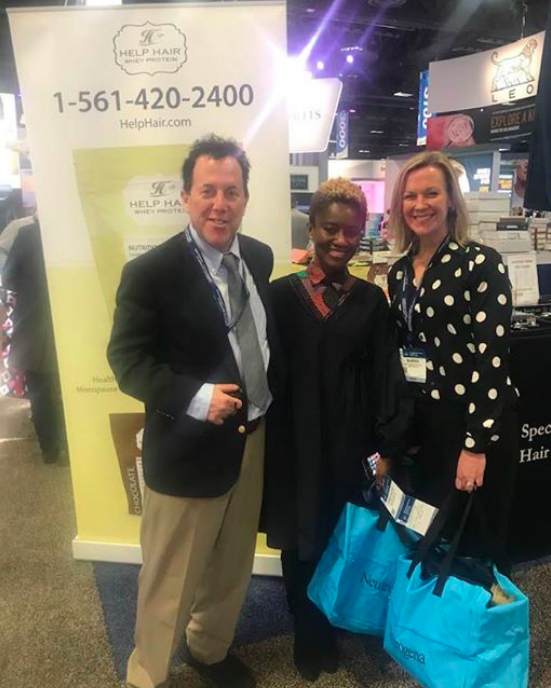 Dr Larry Shapiro and Dr Sara Salas, at the Help Hair Booth in Washington DC at the annual AAD , American Academy of Dermatology Convention. 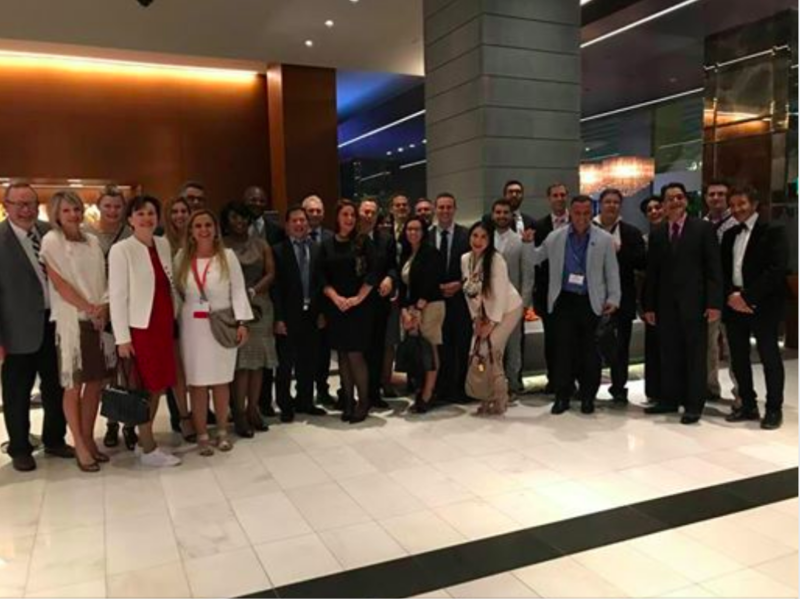 ISHRS Help Hair Dinner conference in Los Angeles 2018. Stop by our Booth #4 at the upcoming ISHRS Convention October 11th-14th,2018. Over 750 attendees. Contact Corina R.N. (seen in picture) for further details. 1-Help Hair Shake will participate with a Power Point Presentation at the ISHRS Nutraceutical lecture Friday 12:30 October 12th- Main lecture Hall. 2-Help Hair Dinner October 11th, at the Magic Castle October 11th at 8pm. Over 50 attendees. For Help Hair Clinics- ISHRS attendees. 3-Help Hair Dinner October 12th at 8pm in Ranch Santa Fe, California. Over 50 attendees. 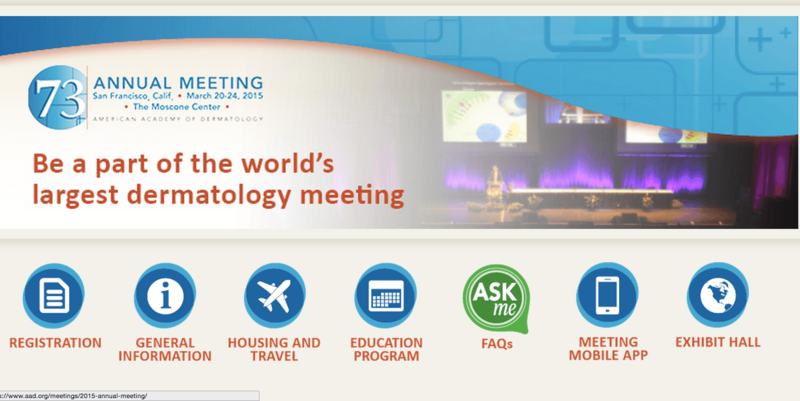 For AOCD Dermatology attendees. 5- Dr Shapiro will be lecturing at the Manchester UK- European FUE Society Convention- June 4-7, 2019 and exhibition booth. Our latest Certified Help Hair Clinic. 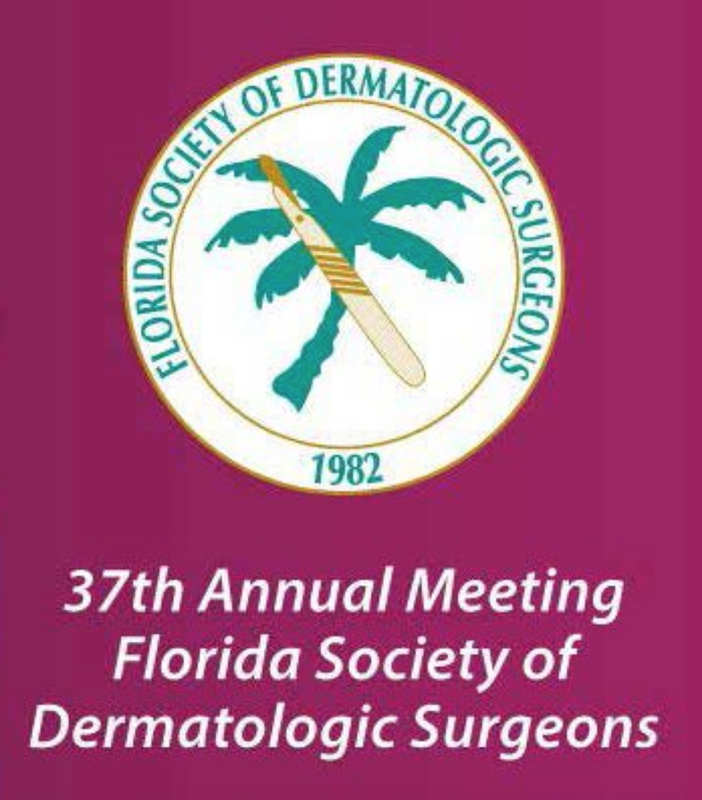 Dr David Harvey MD, Dermatology Institute for Skin Cancer + Cosmetic Surgery. 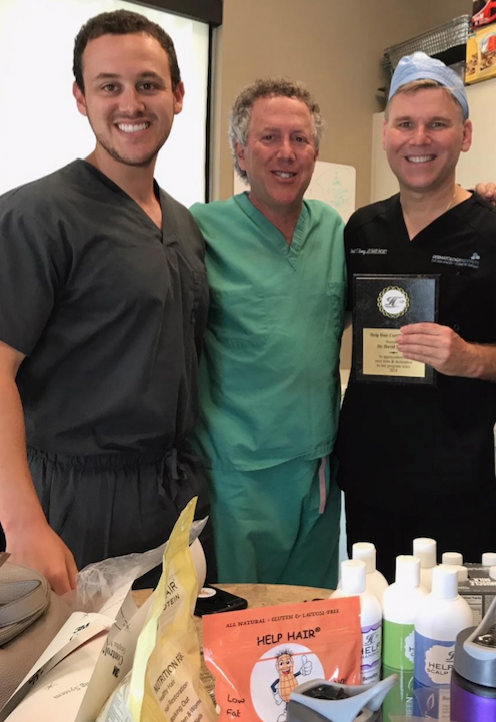 Current President of the Georgia Dermatology Society and Past President of the Florida Dermatology Society with Student Dr Douglas Shapiro and Dr Larry Shapiro. 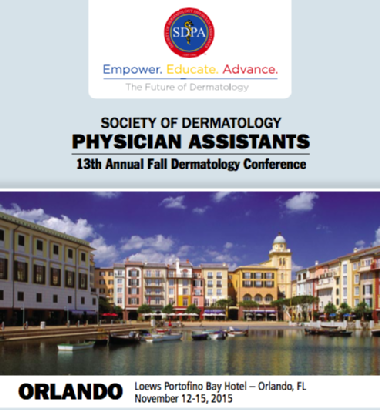 Dr Larry Shapiro will be lecturing at the upcoming Georgia Dermatology December 1st at the Georgia Dermatology Society. 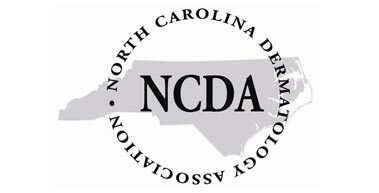 Stop by our Booth at the upcoming July 12th-15 NCDA Meeting in Asheville, NC. 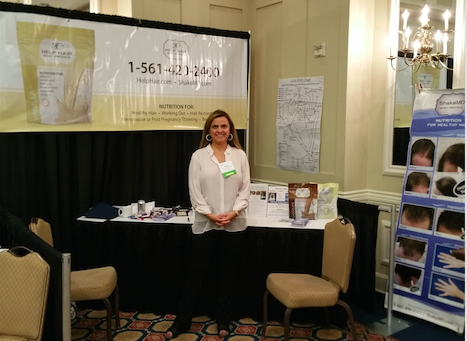 at the upcoming AOCD(American College of Osteopathic Dermatology) Convention March 21st 2018-March 25th 2018. 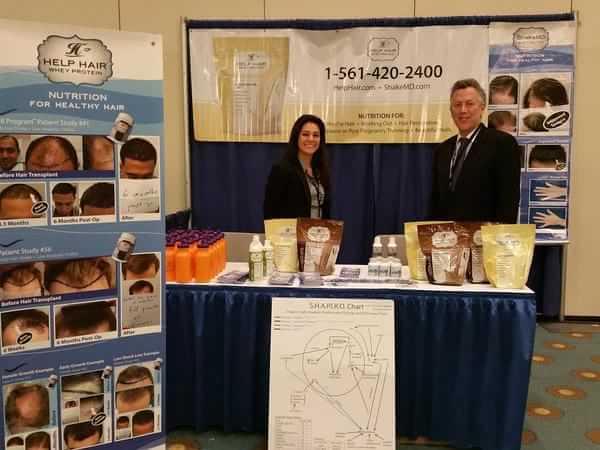 Dr Larry Shapiro and Dr Lois Martin,Board Certified Dermatologist from Wilmington, NC at the Help Hair Booth in Palm Beach,FL. 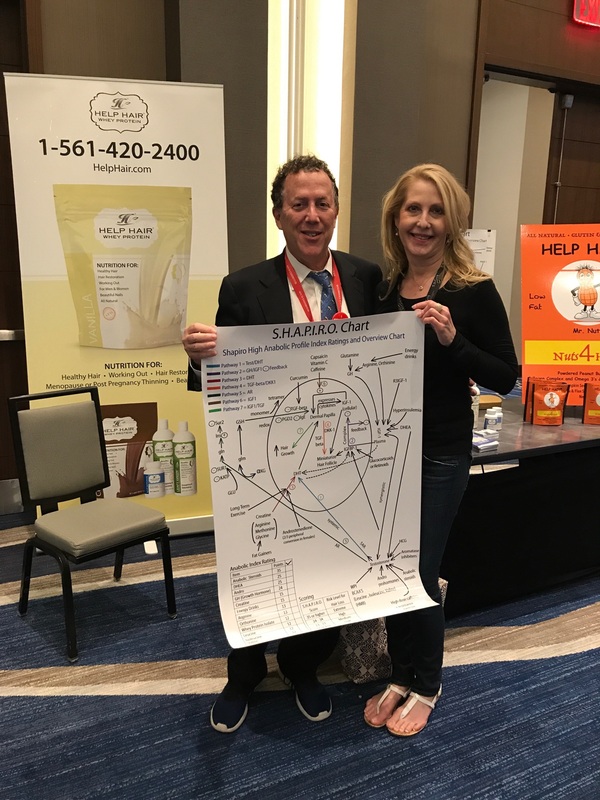 Dr Martin of Carolina Skin and Vein Center was presented with a SHAPIRO Chart and will become a Help Hair Clinic. 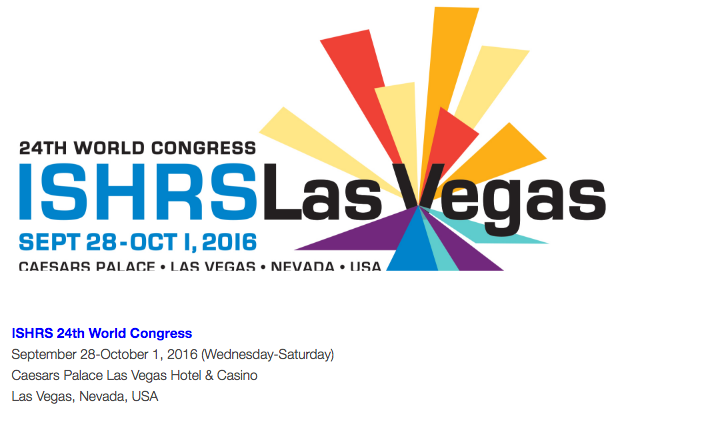 Stop by our booth at the ISHRS- International Society of Hair Restoration Surgeons convention in Las Vegas September 28th-October 2nd. 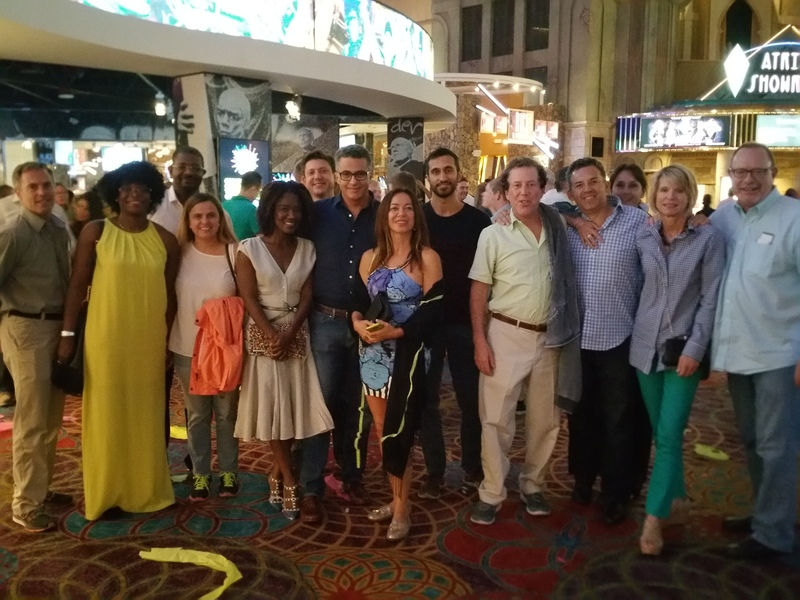 Read more..... We will have a Help Hair Clinic meeting on Thursday September 29th at 9 PM at the Luxor Hotel. Stop By our Booth at the FUE 2016 Conference in Brussels, Belgium June 2nd-4th. 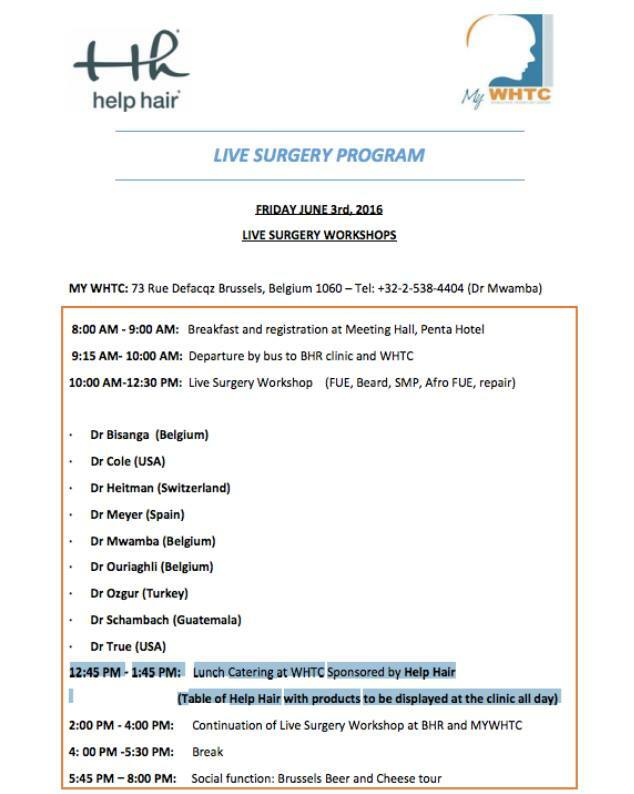 Help Hair is sponsoring a lunch on Friday June 3rd at the Live Surgery Clinic at WHTC on Friday June 3rd. Dr Patrick Mwamba will lecture on Help Hair Shake and Help Hair Vitamins and AFR June 4th at the conference. AFR is Accelerated Follicular Restoration or faster regrowth after a hair transplant. AFR is Accelerated Follicular Restoration or faster regrowth after a hair transplant. Typically hair regrows in 9-12 months. With Help Hair Shake and the Low Anabolic Profile the hair transplant regrows within 5-6 months. See above picture of full growth at 6 months post-op by Hair Transplant Clinic-MyWHTC using Help hair Shake and Help Hair Vitamins daily for 6 months. 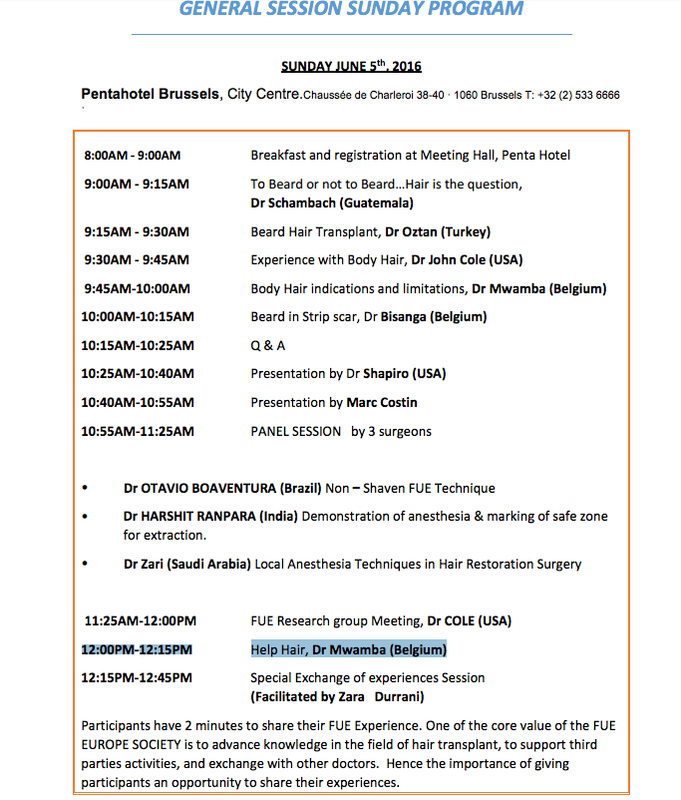 Lecture schedule at the FUE 2016 Conference in Brussels, Belgium June 2nd-4th. Doubleclick to see enlarged version. 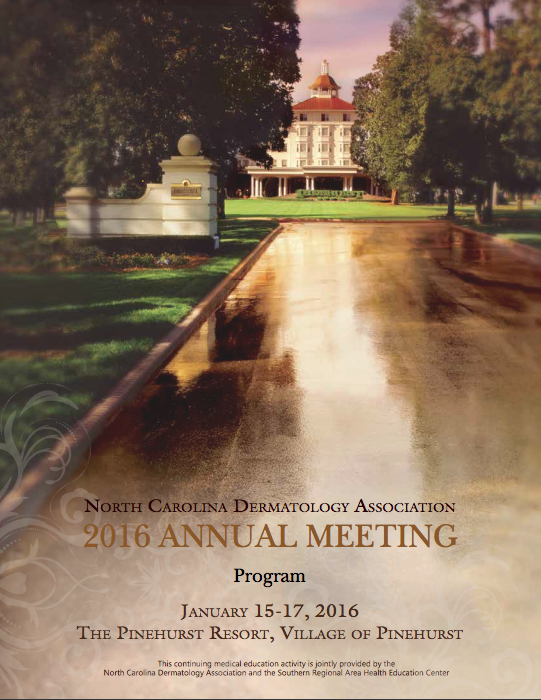 Dr Larry Shapiro will be lecturing on "New Topics on Hair Loss" at the upcoming NCDA January 15th-17th Meeting in Pinehurst, North Carolina. Stop by our Booth 22. Meet us at our upcoming conventions in Orlando November 12-16th. 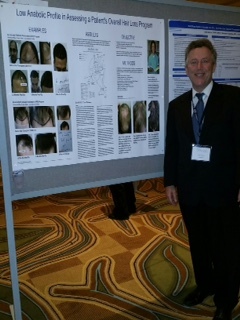 Dr Larry Shapiro will be lecturing on "New Topics on Hair Loss"
and stop by our booth 18. North Carolina and Chicago (ISHRS). Stop by our booth! 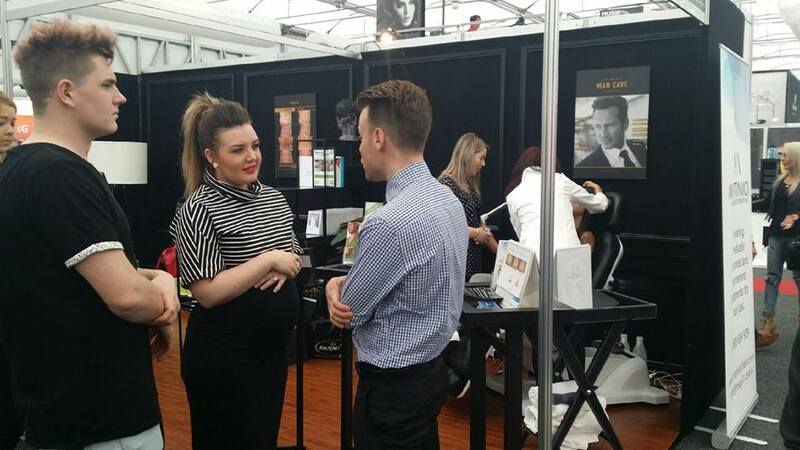 Our Help Hair Shake Distributor is on site at the Sydney Hair Expo! 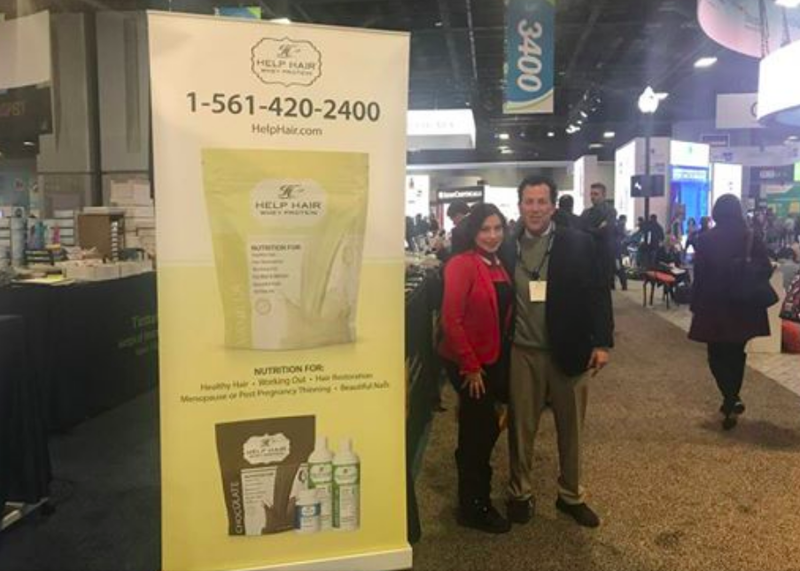 Come down and visit their stand (booth 2352) to taste the Help Hair protein shake and discuss hair loss. Our team from Martinick Hair Restoration, Medical Hair Restoration and Man Cave Sydney will be there to answer your questions. 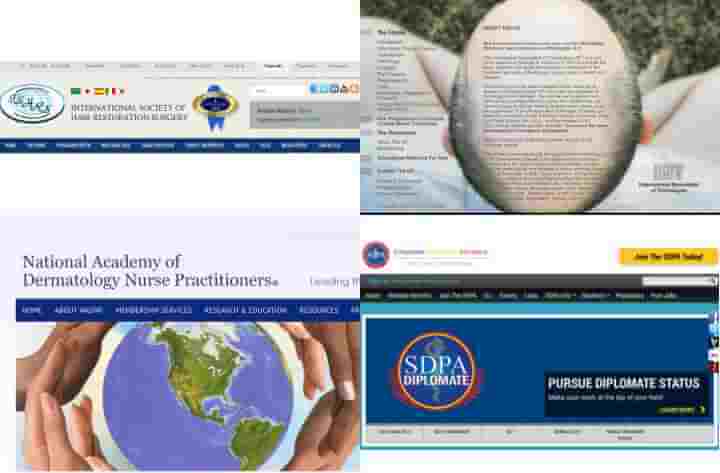 Over 13,000 Worldwide Dermatology Physicians and Residents attended the 2015 AAD, American Academy of Dermatology Convention in San Francisco. We have added future imports of Help Hair Shake into Japan, India and Kuwait. 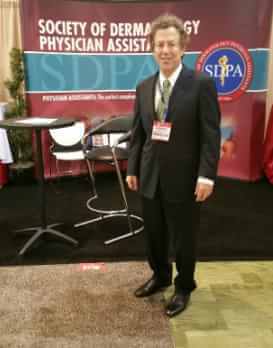 Dr Larry Shapiro will lecture at the upcoming SDPA convention in November and participate in a panel at the Vegas Cosmetic Surgery Symposium. 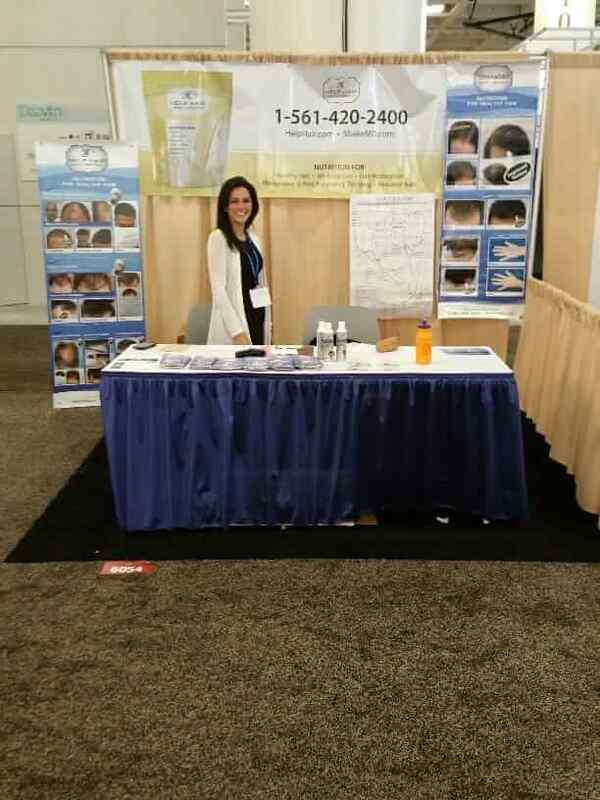 Thank you for stopping by the Help Hair® Shake Booth #6054 at the American Academy of Dermatology in San Francisco.